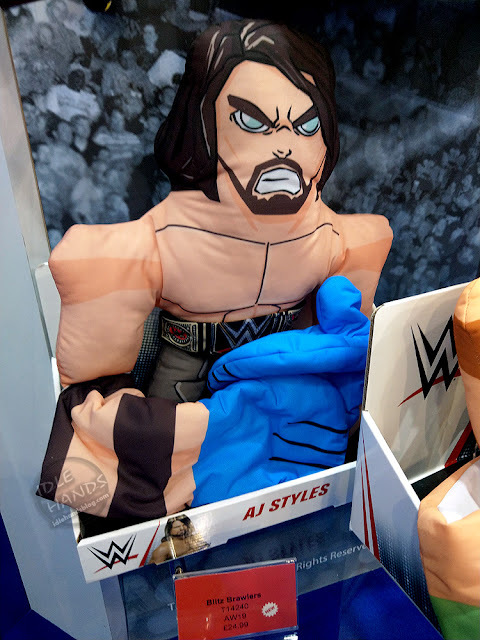 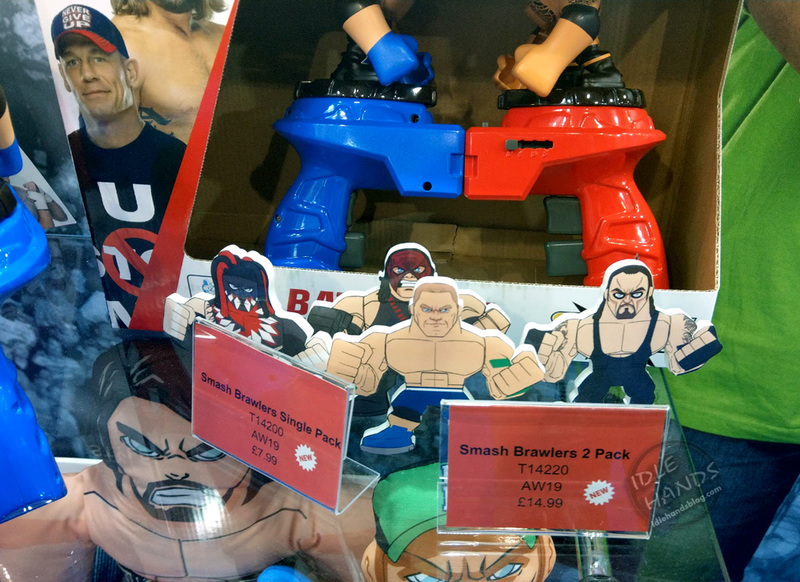 The main line is called WWE Smash Brawlers and from what I can see, we'll be getting stylized figures of your favorite wrestlers you can plug into Rock em' Sock em' Robot-style controllers allowing you to take the battle with you anywhere you like. 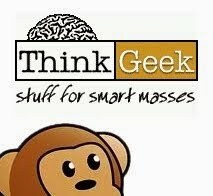 It's so simple it's genius! 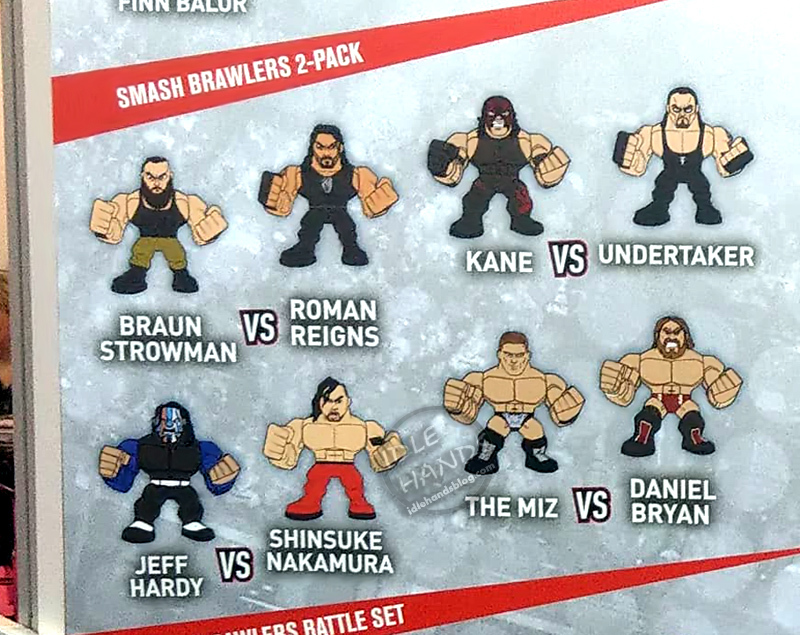 The line kicks off with single packs including Dean Ambrose, Kevin Owens, Bobby Lashley, Finn Balor, Seth Rollins and The Rock. 2 Packs include Braun Strowman vs Roman Reigns, Kane vs Undertaker, Jeff Hardy vs Shinsuke Nakamura, and The Miz vs Daniel Bryan. 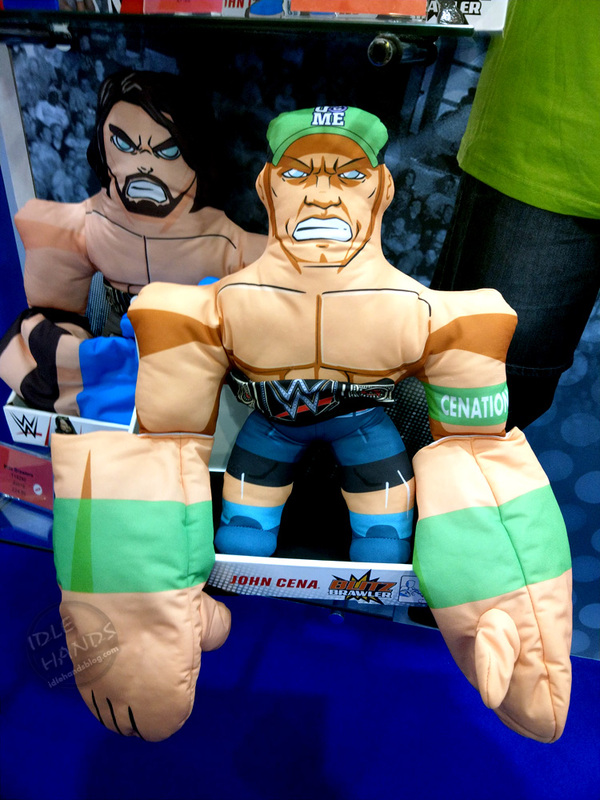 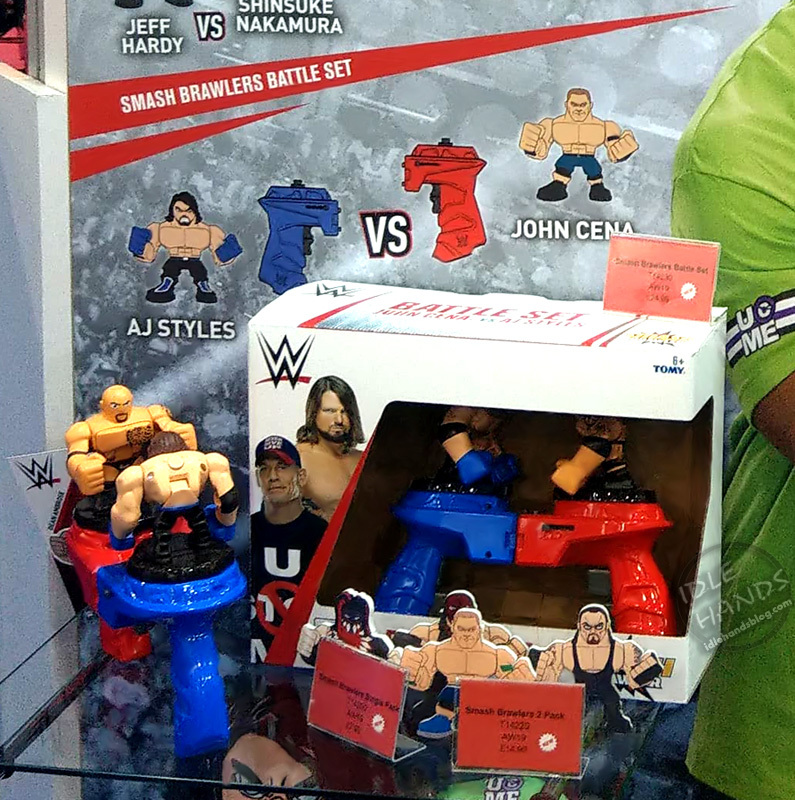 The Smash Brawlers Battle set includes AJ Styles and John Cena with two controllers to start you off on your way to a BATTLE ROYALE!! 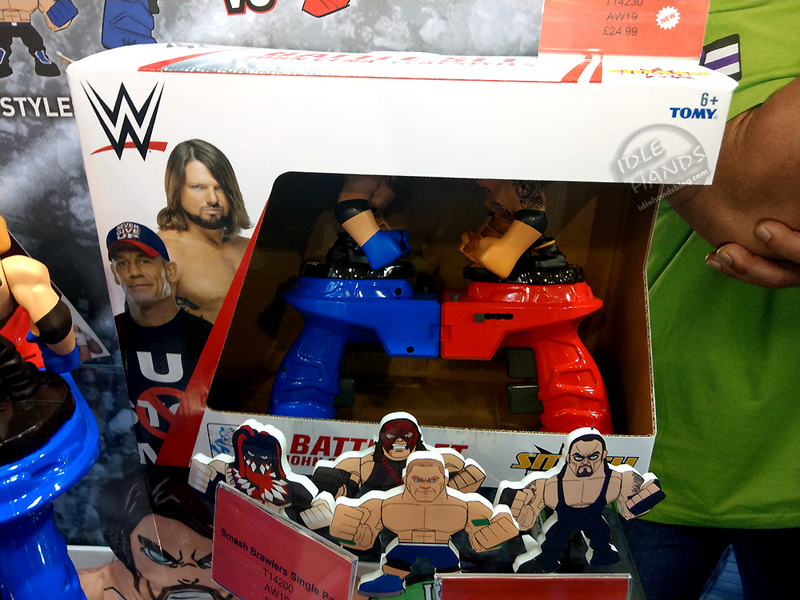 TOMY also lends their highly appealing stylized look to plush dolls called Blitz Brawlers, which utilize a unique and highly amusing design allowing the user to put their hands in the wrestler's hands and then..I guess...slap fight? When they put out the classic wrestlers in this style, you are going to see some ridiculous trash talkin' videos. I promise.